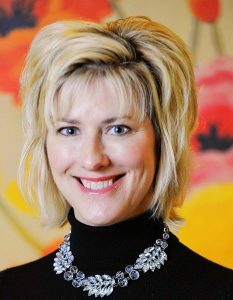 Jane Schulte is the founder of COO On Call. 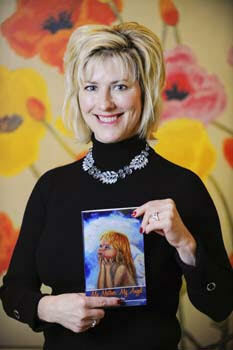 Downsizing, upsizing and rightsizing – these are a few of Jane Schulte’s favorite things. Not only has she been a COO for the past 15 years, but she also launched a Northern Kentucky- based regional title and closing company, taking it from zero revenue to a $10 million-dollar company in a two-year period of time. She then grew the company from regional to national a year later. In the past 15 years, Schulte says she’s learned a lot. Whether it’s solving problems with financials or with the “community” aspect of a business, she knows where things can be improved. 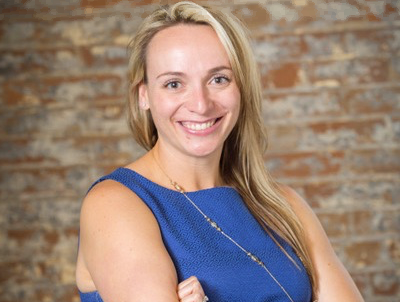 That need for improvement is what inspired her to launch her business COO On Call. Schulte says she was inspired to launch COO On Call after finding a need in the business community for owners to take advantage of higher-level services that they previously did not have access to. Schulte is the one-woman show behind COO, and says that she’s often referred to as a Chief Problem Solver. “I have always been called upon when crisis ensues, a process needs to be created, or a raw ideas is at play with the daunting task of making that idea come to life with tangible benefits,” says Schulte. 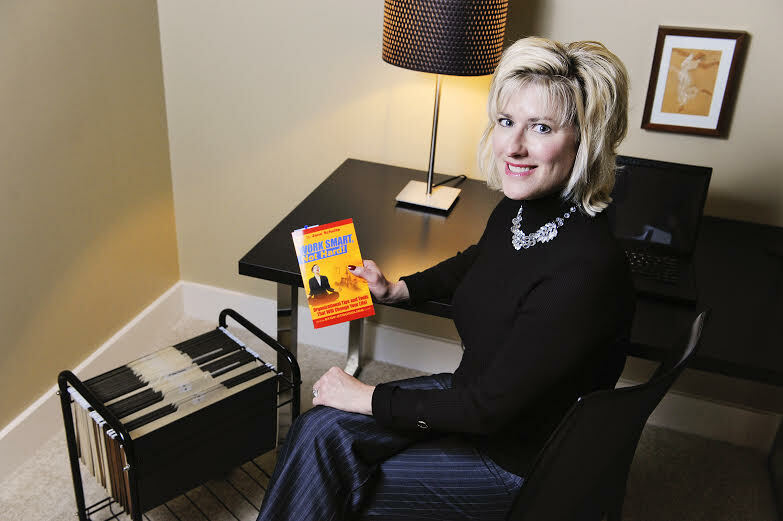 Jane Schulte has experience as a business owner, COO, and author of multiple books. When she says a business owner can call her, she means that they can call her for anything. That ranges from vetting a new ideas, talking through an issue or problem, to joining them temporarily to take their business to the next level. Schulte says that her business is unlike any other, and is something that no one else is doing. To learn more about COO On Call, click here. 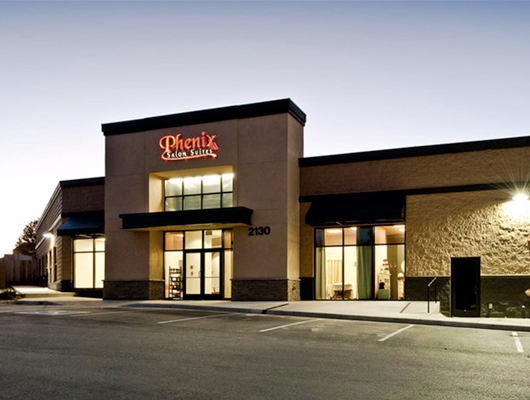 The history of Phenix Salon Suites dates back to 2007 in Colorado Springs. Since then, the business has popped up across the country and was even featured on Undercover Boss. Today, there’s a location in Cincinnati that offers its salon services to customers. “Phenix Salon Suites has been the industry standard of salon suite concepts in the United States,” says Cincinnati Owner Sheri Hardesty. “We have more than 80 years of professional salon expertise, a family culture, and strong work ethics, which are the foundation of Phenix Salon Suites. Since its initial launch in 2007, Phenix Salon Suites has gone from a single suite to multiple locations throughout the United States as well as the United Kingdom. The company’s founder Gina River has a background in the salon industry. It was during maternity leave that Gina decided to open a salon of her own. However, she wanted to present a new concept to the hair industry – a space that allowed salon professionals to own and operate their own salon without the daunting financial commitment and facility management hassles that are typically associated with owning a salon. At Phenix Salon Suites, there are two customers – the salon professionals and their clients. Hardesty says that salon professionals are given access to an upscale facility that has no hidden costs while offering high quality and well-designed suites. Hardesty says that what sets Phenix Salon Suites apart from other salon suite companies is its dedication to salon professionals first. To check out Phenix Salon Suites for yourself, visit them at 3974 Red Bank Road, Suite C, in Cincinnati. You can also check our their website. Local makers make the world a prettier place and The Arts Alliance is helping them make an even bigger impact through The Deerfield Handmade Markets. According to Meredith Raffel, Founder and Executive Director at The Arts Alliance, The Deerfield Handmade Markets are designed to showcase local and regional fine arts, creatives, and makers by celebrating those who are creating unique items, and those who work in a more traditional medium, too. Raffel says the inspiration behind The Arts Alliance is change. The festival events offered through The Arts Alliance have always been traditional – but there was a desire to switch it up a bit. The welcomed change from The Arts Alliance resulted in The Deerfield Handmade Markets, which was launched in partnership with Deerfield Township. The Deerfield Handmade Markets will give those doing good work in the community the chance to have a space at these events. Those interested in the Take Part Initiative can tell The Arts Alliance about the good work they are doing in the community and they will be given a space. Raffel says approximately 10 spaces will be given to local non-profits. This year, markets will be held June 8 at Cottell Park from 11am to 5 pm, September 15 at Cottell Park from 11am to 5pm, and December 8 at Sonder Brewing from 11am to 5pm. There will be around 100 vendors at each of the three events, according to Raffel. The cost for vendors is $50 per event. Artists can apply for the juried events and find more information here. Raffel says the team comprised of The Arts Alliance and Deerfield Township is excited to bring the Deerfield Handmade Markets to the area this year, following 14 years of presenting festivals to the community. 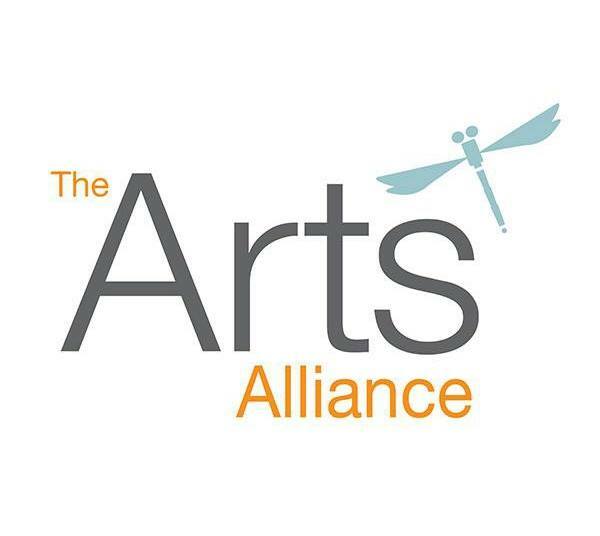 To learn more about The Arts Alliance, visit here. You can also follow along on Instagram, Facebook, and Twitter. To contact The Arts Alliance directly, send them an email or call 513-309-8585. Taxi Maxx offers transportation to and from CVG and Dayton airports. Max Osadchy wants to give his clients what they want when they want it. And that’s affordable and convenient transportation to and from the airport before and after their travels. That’s why he launched Taxi Maxx, a locally owned and operated airport transportation company based out of Mason, back in 2011. “The goal behind Taxi Maxx is to provide both the community and businesses with gold standard professional service from a company that they can trust,” says Osadchy. 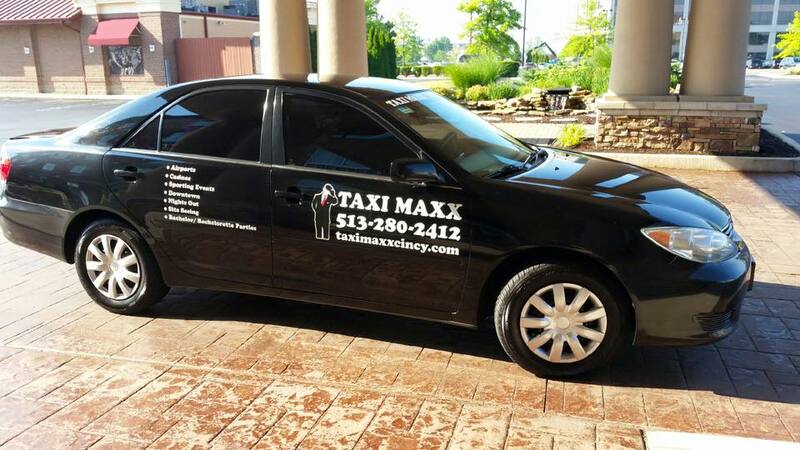 Taxi Maxx offers affordable pricing to individuals, as well as term billing for corporate clients. 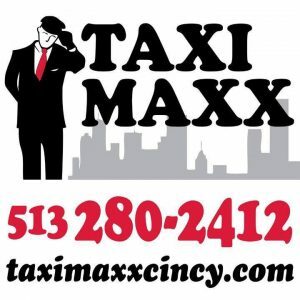 Prices through Taxi Mass vary and are based on mileage, however, Osadchy says there is a flat rate from Mason to CVG of $70 and a flat rate of $90 to the Dayton airport. Osadchy says that Taxi Mass continues to offer its clients a more dependable, seamless and safer choice in their airport travel. To learn more about Taxi Maxx, click here. You can also “like” them on Facebook or call 513-280-2412. Taxi Maxx is also currently on the search for new employees. You can inquire by emailing or by calling 513-280-2412. 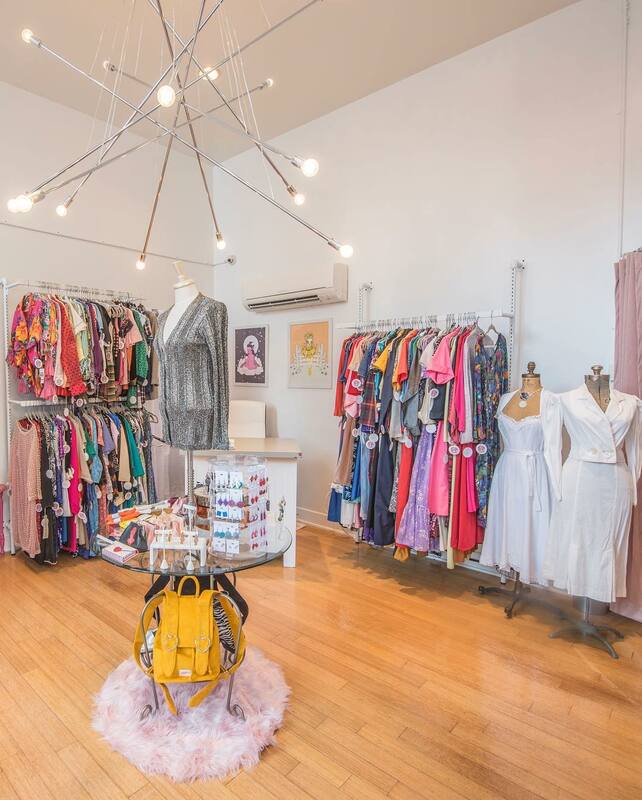 A local fashionista decided to carpe diem and open a new storefront in the city’s Central Business District. Read on to learn more about her inspiration and where you can find her vintage pieces. Marcie Hon has always been complimented on her unique style. Working at a high end costume shop as a costume designer has given her an eye for curating one of a kind looks. 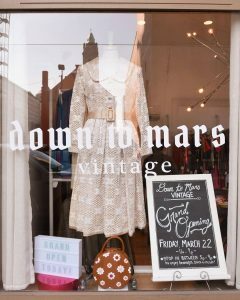 Hon is constantly surrounded by ornate gowns, costumes, and a selection of vintage pieces, which inspired her to launch her “Down to Mars Vintage” Etsy Shop, selling high-end vintage clothing. Hon has always had a quirky, vintage style, and in the fall of 2016, she launched her Etsy shop. She loves searching for gems and hand chooses each of the garments that are sold, setting her apart from other vintage shopping options. Not only are her pieces high style, but high quality is guaranteed. Her experience in the costume store has made her familiar with vintage cuts and sizes, which greatly differ from those of today. She has an eye for visualizing what a piece on the hanger will look like and knows how to personally style her clients. Hon recalls the moment that her love of vintage fashion was solidified. When her grandparents passed, she wanted to keep their clothes. She specifically remembers her grandfather’s “members only” jacket; some may have thought it was ugly but she felt it was special and soulful. That is where her passion for vintage clothing comes from: the memories that are brought to life through the pieces. Hon was recently able to take her dream of a fashion brand one step further – the opening of her storefront on Main Street. Hon says she couldn’t have come across a better time to open her own store, as the pop-up shop’s time was coming to an end and she was wondering what she would be doing next. “This opportunity seemed to present itself at the right moment,” she adds. Hon then spent the entire month of February and most of March renovating the space into a modern boutique environment. With an always-growing downtown sector, Hon says that she’s excited to be located in Cincinnati’s Central Business District. In the boutique, you’ll find women’s vintage fashions and accessories from the 1940s through the 1990s including formal and casual pieces. Hon says to keep an eye out on her web-store, which will soon launch and feature vintage goods including fashion, accessories, and housewares. “Local customers will have the option to pick up the goods in-store or shipped to your home,” explains Hon. The web-store will also allow you to browse lookbooks from Down to Mars vintage styled photoshoots and learn more about services such as alterations and repairs on vintage pieces. 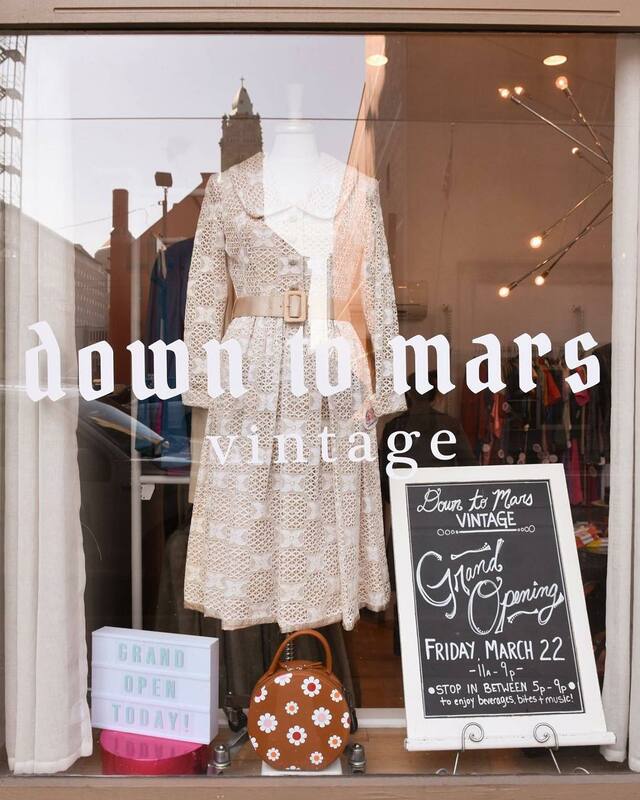 Down To Mars Vintage is located at 621 Main Street in Cincinnati, between 6th and 7th streets. It’s also along the cincinnati Bell Connector line near the Richter & Phillips Station. The store is open Tuesday through Thursday from 11 am to 7 pm and Friday and Saturday from 11am to 8 pm. You can check out the Down To Mars Etsy shop, follow along on Instagram, or give them a “like” on Facebook. Dress in your Derby best at the upcoming Bourbon Women Association event. Read on for the details! Bourbon isn’t just a drink, it’s a lifestyle. 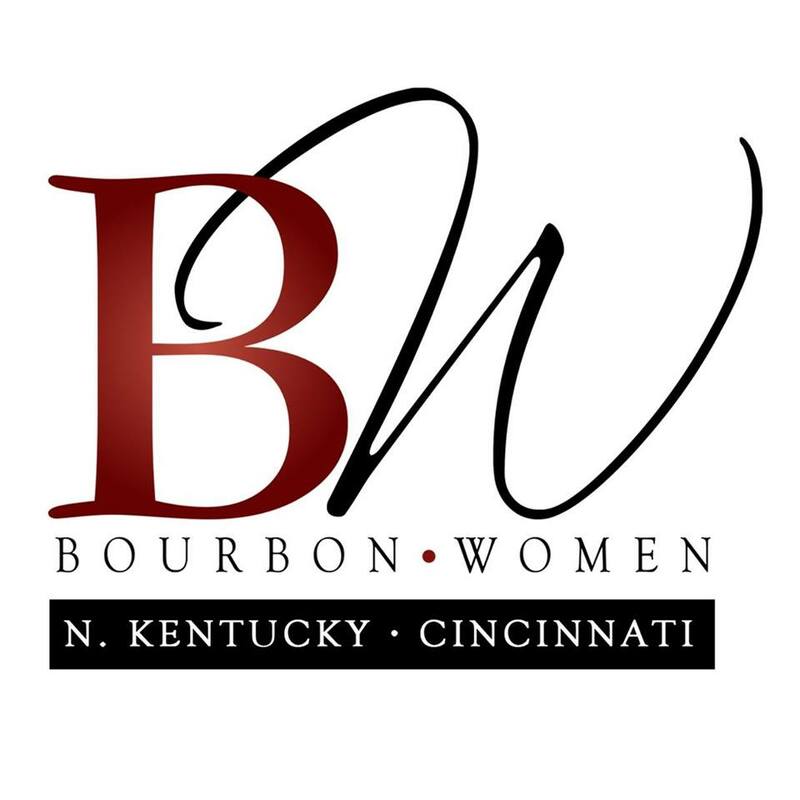 A lifestyle that the Bourbon Women Association aims to raise awareness about through its events around the country – and more specifically through its Northern Kentucky/Cincinnati chapter that launched in May 2016. Bourbon Women prides itself on creating opportunities for local women through events, including the upcoming Hates & Haute, a Kentucky Derby Event with Woodford Reserve, for members to network, experience premium bourbon, and participate in tasting and education. “Plus we love spreading the Derby love,” adds Bross. Hats & Haute is scheduled for April 16 from 6-8 pm at the Hotel Covington. Attendees are encouraged to dress their Derby best – with hats, of course. Those who attend the event will also receive a limited-edition poster featuring artwork from the 2019 Woodford Reserve Kentucky Derby commemorative bottle and a chance to win a “Win, Place, Show” gift basket. Louisville kicks off its Kentucky Derby Festival in April and the Northern Kentucky/Cincinnati Bourbon Women decided to bring the pre-party to the Queen City to stretch out the celebrations as long as possible. With the party getting started in April guests will have the opportunity to learn how to make a Woodford Reserve Mint Julep or Finlandia Oaks Lily for their own Derby celebrations. “Plus, it’s an opportunity to wear that perfect outfit twice – or get a second,” adds Bross. Tickets for the event include admission, appetizers, three drink tickets, and a Woodford Reserve posted. They can be purchased for $45 for Bourbon Women members and $60 for non-members. The event is for guests who are aged 21 or older – and both men and women are encouraged to attend. You can purchase tickets here. To learn more about Bourbon Women, visit them on Facebook and Instagram, and be sure to use the hashtags #bourbonwomen #BWdoesDerby at the event. A nationally-recognized skincare spa recently expanded to launch the first advanced esthetic school in the Midwest. Read on for more. 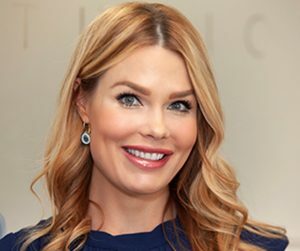 After running several Skin Perfect Med Spa locations across Central Ohio and Florida, Jaclyn Peresetsky recently launched Skin Perfect University as the first advanced esthetic school in the Midwest. Peresetsky says Skin Perfect University aims to build on its connections in the beauty industry to help those interested in the field pursue their passion. According to Peresetsky, the recent Med Spa boom across the region encouraged her to raise the bar across the field of esthetics and share her knowledge with those who want to invest in themselves and further their education and career. “Our school meets the education level professionals need to be successful doing skincare treatments in a Med spa,” she adds. Classes offered through Skin Perfect University include advanced esthetic, makeup, and color classes, including brows and lashes. The length of each class ranges from 1-5 days for professionals who already have an Esthetician, cosmetologist, or nursing license. “We use an immersion training technique in which the attendee is immersed in the subject from theory to hands-on to really secure the new skill and knowledge,” she adds. Tuition for the classes ranges from $500 to $5,000, depending on the course as well as its duration. 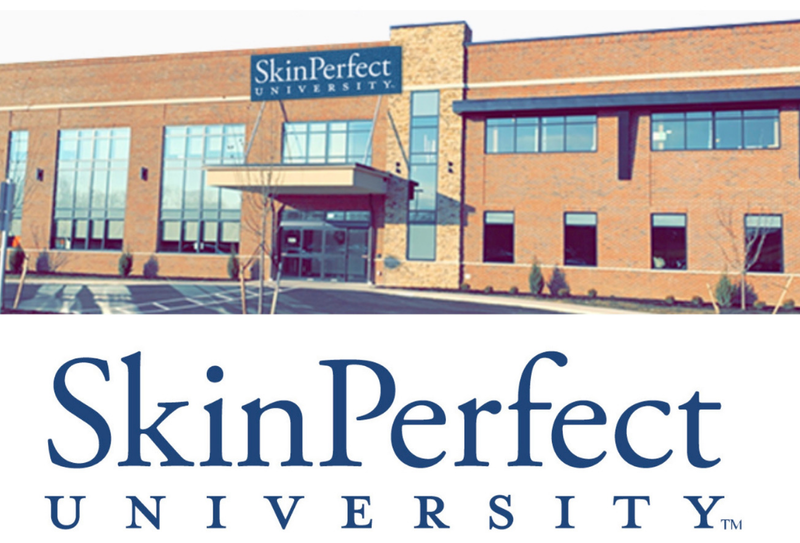 Skin Perfect University is located at 725 Buckles Ct. in Gahanna, a suburb of Columbus, Ohio. You can review available classes and course descriptions here. On the website you’ll find new class dates as they are scheduled. You can also follow along with Skin Perfect University on Instagram and Facebook. Get a look inside one of Cincinnati's largest accounting firms and its focus on attracting, retaining, developing, and advancing women. Cincy Chic: Tell us more about Barnes Dennig! 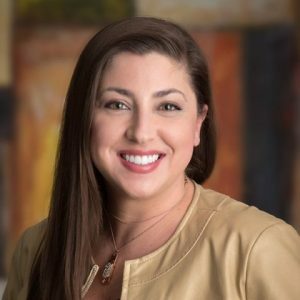 Melissa Hornsby, Marketing Director at Barnes Dennig: Since 1965, Barnes Dennig has grown into one of the 200 largest accounting firms in the country according to Inside Public Accounting. Headquartered in Cincinnati, our growth has stemmed from a focus on providing exceptional client service, depth of knowledge in select industries and strategic expansion. We increased our geographic footprint by adding an office in Northern Kentucky in 2013 and one in Indianapolis in 2016. Today we are more than 150 employees strong serving clients in three states and across the U.S. with operations spanning the globe. Cincy Chic: What is the Women’s Growth & Development Initiative at Barnes Dennig? Hornsby: The Women’s Growth & Development Initiative is a program that focuses on attracting, retaining, developing, and advancing women. 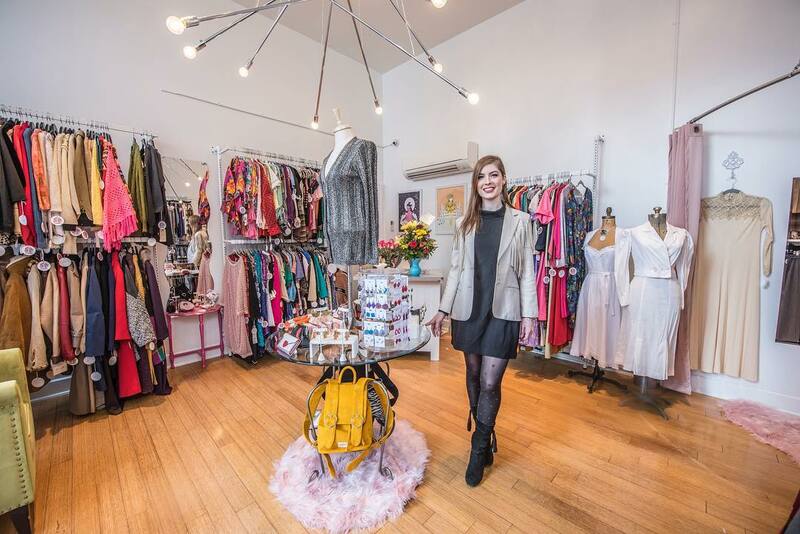 Cincy Chic: What’s the inspiration behind the initiative? Hornsby: Half of all accounting graduates today are women, yet, there is a much smaller percentage that advances to partner and other leadership positions in accounting firms. It doesn’t have to be that way, and we’re working to change that. Through our Women’s Growth & Development Initiative, we continually strive to be a leader among accounting firms in attracting, retaining, developing and advancing women. Cincy Chic: What does the initiative aim to do? Hornsby: By developing programs and opportunities that benefit both women and men, we are dedicated to providing an environment that attracts and retains talented women; spotlighting the growing presence of women decision-makers in business; developing exceptional women leaders; creating and facilitating internal and external opportunities for women to network; promoting the skills and experience of our women professionals; and partnering with local, regional and national organizations with similar missions. Cincy Chic: Where can readers go to learn more? Hornsby: To learn more about our Women’s Growth & Development Initiative and how we link flexible work arrangements to career paths, contact us at 513.241.8313 or send an email. The springtime Vintage Market Days of Dayton-Cincinnati is coming soon! Read on as we get behind the scenes of all the fun new things you can see and do at this year's event! Since its first local shopping event last year, Vintage Market Days brings thousands to enjoy a weekend full of shopping, music, food and family fun — and continues to grow with each event. The next one is coming up April 26-28 at the Greene County Fairgrounds in Xenia, Ohio. “Vintage Market Days is an upscale vintage and vintage-inspired indoor/outdoor market featuring original art, antiques, clothing, jewelry, handmade treasures, home decor, outdoor furnishings, furniture, seasonal plantings, live music, and food trucks,” explains Vintage Market Days of Dayton and Cincinnati Promoter Tonya Ross. 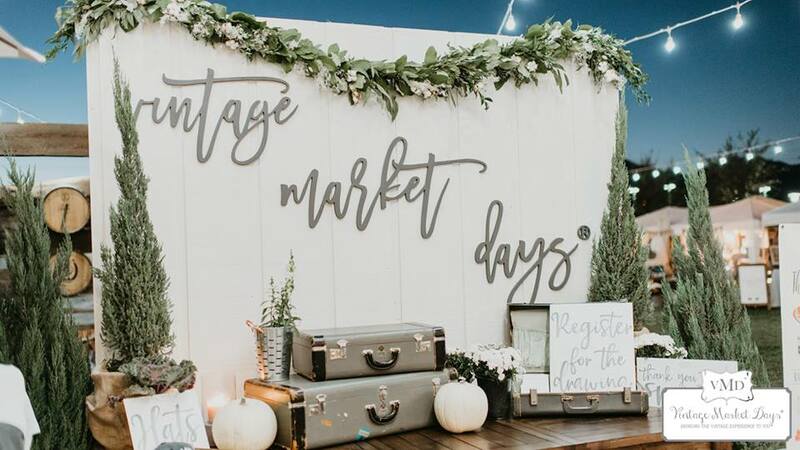 The history behind Vintage Market Days goes back to 2012 when it started as an indoor/outdoor Paris flea market-style event in Tulsa, Oklahoma. Since then, the events have spread across the country and offer attendees more than a sale. Vintage Market Days is introducing several new vendors alongside past favorites at its upcoming event. “We will have an Airstream trailer for photo ops at our entrance, a 40-foot mobile clothing boutique, a vintage camper with vintage goods, and a cattle trailer transformed into a storefront,” says Ross. More than 100 small businesses come together for the event that attracts people from throughout the Tri-State and the Dayton Metro area. Due to the success the event has seen in the last year, Ross goes the extra length to ensure that Vintage Market Days is an experience rather than just an event, something that gives those who attend the chance to escape their daily hustle and bustle and enjoy time listening to music, shopping with friends, and meeting the vendors. And it’s more than just couples and friends who shop at Vintage Market Days. The family-friendly event means that the little ones are welcome to join in on the shopping fun as well. To learn more about the event or to purchase your tickets, click here. Early Buying tickets, which begin on Friday, are $10, while General Admission tickets for Saturday and Sunday are $5. Once you purchase a ticket you can go in and out of the event as needed. Group discounts are also available by emailing for groups of 10 or more. You can catch sneak peeks of the event on Facebook and Instagram. Hear from the graduate of a Cincinnati USA Regional Chamber program that aims to help you grow personally and professionally. Anglea Homm is the Global CFO at Munich RE Digital Partners. She’s also a graduate of the Cincinnati USA Regional Chamber’s WE Lead program. Homm’s position at Munich RE Digital Partners requires her to oversee all of the non-technical accounting, budgeting, and planning for global operations as well as managing the global data asset and advanced analytics team. “As team leader for U.S. operations, I oversee all aspects of enterprise risk management, compliance, and financial reporting,” she adds. While on her way up the corporate ladder, Homm was a participant in the Chamber’s WE Lead program, a program that many of her own colleagues have participated in. Homm says that the thing she enjoyed the most was the networking. When asked why she recommends the WE Lead program to other women, and why it should be important to businesses, Homm says that the program is a small time commitment that challenges your brain to think differently, bigger, and better. 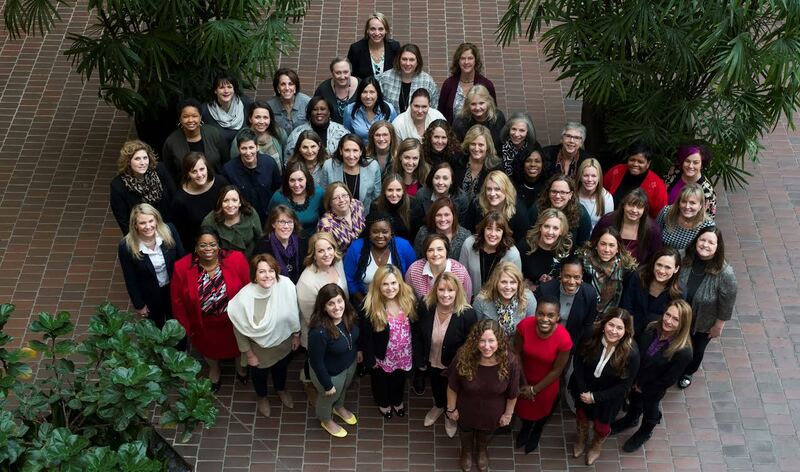 The Cincinnati USA Regional Chamber’s WE Lead is a 10-month executive leadership development experience for high-potential, goal oriented women who are actively preparing for the next level of their career. Participants are high achieving women who are being assigned increasing levels of responsibility within their organization and are on track for future advancement. Applications for Class 14 are now open. Deadline to apply is May 24, 2019. Visit cincinnatichamber.com/welead for more information.